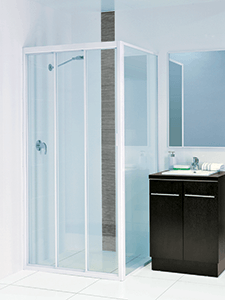 Where a swinging or pivot shower door simply isn’t practical, Pivotech’s sliding shower screen systems deliver reliable strength with sleek, modern elegance and maximum flexibility. An ideal solution for smaller bathrooms. 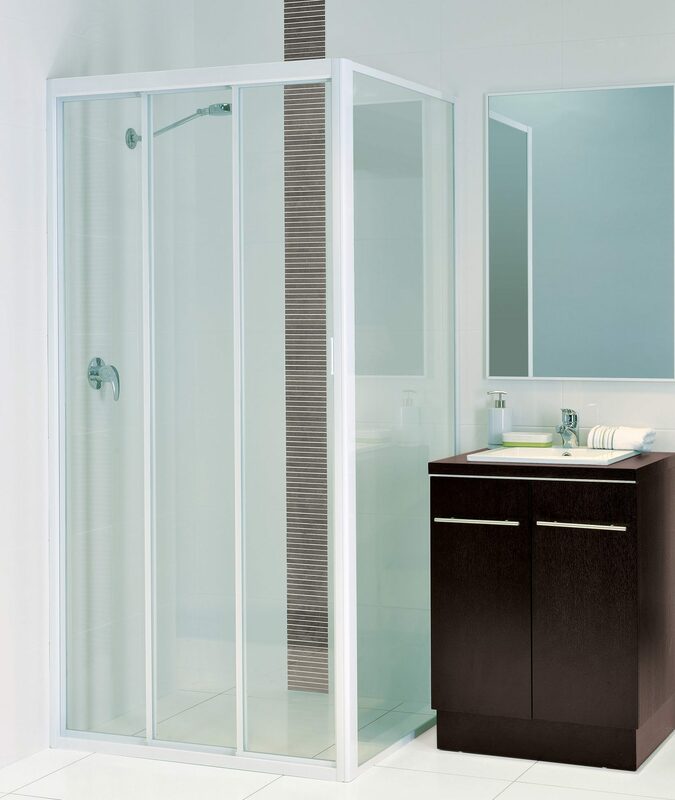 Sliding doors reduce the overall space required for a shower recess and minimal metal used makes cleaning easy. A choice of powder coated and anodised finishes complement any décor. Perfect for larger screens, and with less framing, the two-door configuration helps minimise visual clutter in tight spaces. 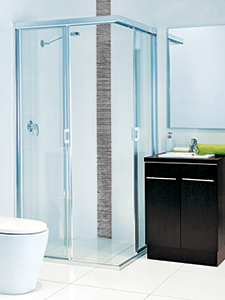 With the option of having one or both panels slide, it also offers a simple solution for double-ended shower rooms. 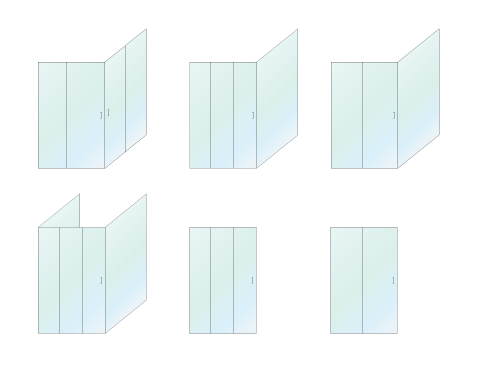 The three-door design offers the advantage of a wider opening. The fixed panel is raised from the sill and located inside for safety and easy cleaning. Locating the wheels at the top of the screen keeps them away from soap and grime. 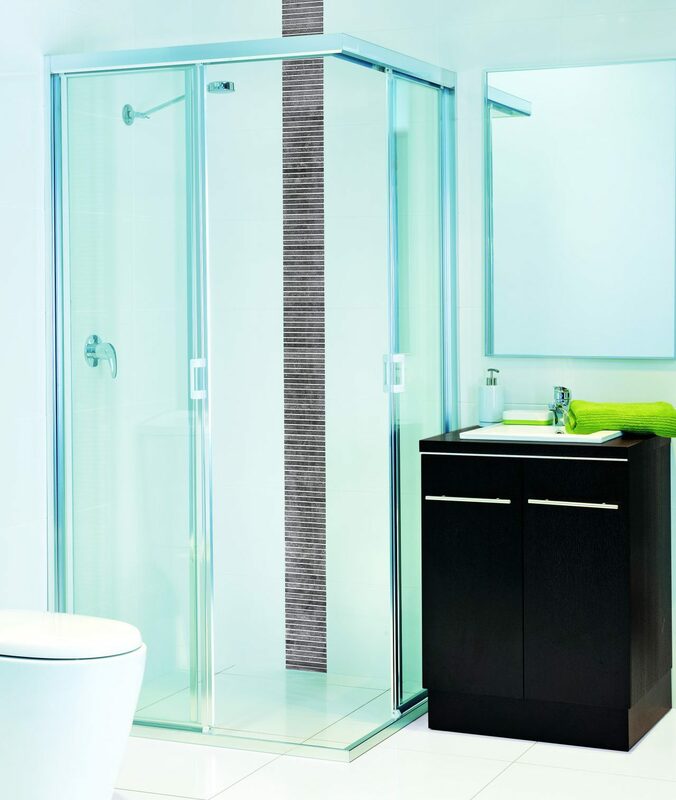 The widest opening for the smallest space, a corner opening screen enables access from the middle of the bathroom. 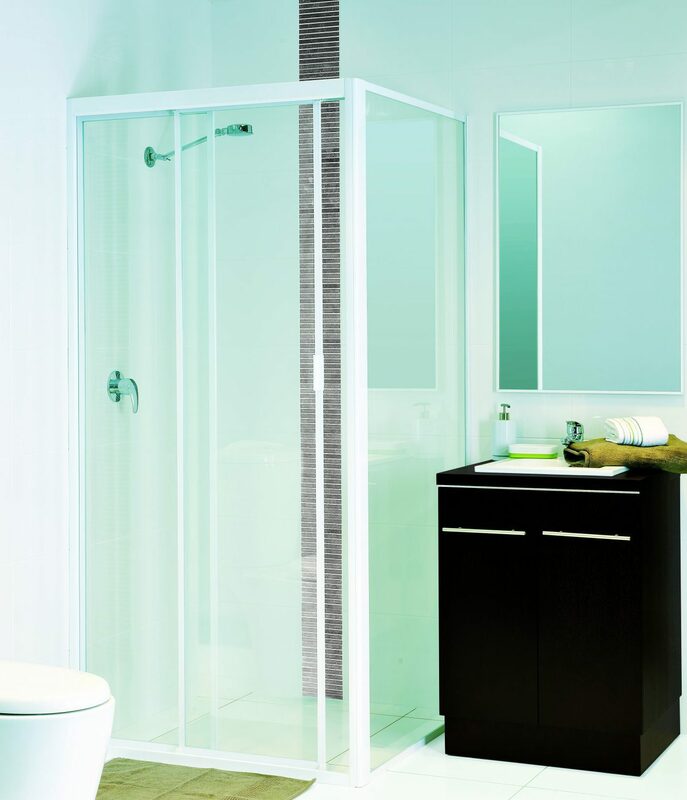 A practical solution and a brilliant design, the toilet and basin can be positioned on either side of the shower recess. 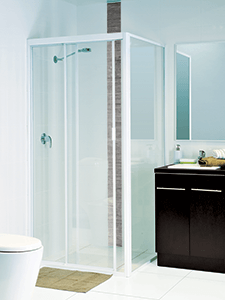 Doors can be closed from both directions and the profiles overlap to minimise water leakage.